The top complaint we get about restrooms is the unpleasant odour. But, the biggest risk to our health is the transfer of unseen bacteria. Restrooms are an endless task; some even look like they aren’t worth saving. They are. If your restroom is in need of improvement, this article is for you. Hint: If odour is your greatest problem, start with Step 5. And please, Step 1 is a must! Disinfect every surface that users touch in the restroom: faucets, door knobs, flush handles, counters, light switches, dispensers, stall door locks, etc. Don’t use any surface of your washcloth twice: you will simply move the bacteria around the room. Use a chemical that kills a wide range of pathogens and allow enough dwell time for it to work. Refer to the product’s guidelines for details. Disinfect waste receptacles inside and out. Disinfect the floor and wall areas surrounding each receptacle. Use an enzyme-based cleaner to control odour for ongoing maintenance. During routine cleaning, the bacteria that causes odour is often missed. Disinfect the entire bowl from the seat to the floor, even underneath the back of bowl. Disinfect partitions, especially between urinals. Don’t forget the back of the stall door. Clean to the lowest point of the urinal. Spray an enzyme cleaner on the surrounding floor, walls, partitions, bowl, urinal, etc. Drop an enzyme-based urinal screen in each urinal. Pour an enzyme cleaner down each drain. Refer to the product’s guidelines for dilution ratios. Do this regularly to prevent the drain from drying out and letting sewer gases release. The majority of restroom odour is caused by uric acid left on the floor. Mopping is not enough. Deep clean your floor using an auto-scrubber or other floor machine if you have one. If you only have a wet vacuum, soak the floor for at least 10 minutes with a disinfectant then vacuum it up. Pay close attention behind the toilets: this area is often missed in routine cleaning. Use a disinfectant cleaner when mopping to kill bacteria. Grout is porous. Grout holds on to debris and it becomes a safe-haven for bacteria to grow. Deep clean your grout and tile using the proper equipment and chemicals. Acids are handy for this, but always wear personal protective equipment (PPE). 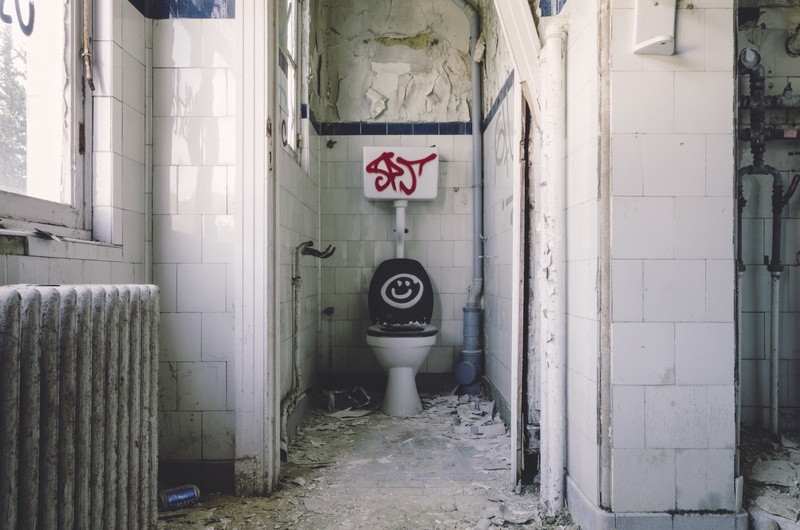 If your restroom has a tiled floor, the grout may be the biggest cause of odour. Don’t forget tiled showers or walls. Odour counteractants only cover up the smell: they do not remove the source of odour. If you’ve completed steps 1 through 6, you are now allowed to place an air freshener in your restroom (you have our permission). Make room for these steps in facility cleaning by adding them into your cleaning plan. If you could use some help, get in touch or bring in an expert. 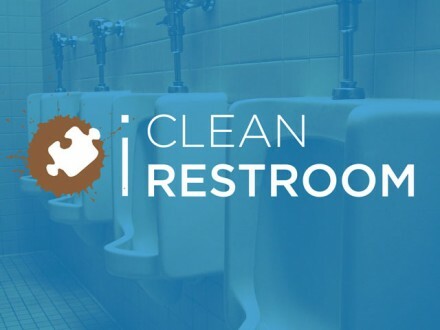 The biggest risk to our health is the transfer of unseen bacteria [from an improperly cleaned restroom]. Do You Want A Clean[er] Facilty?